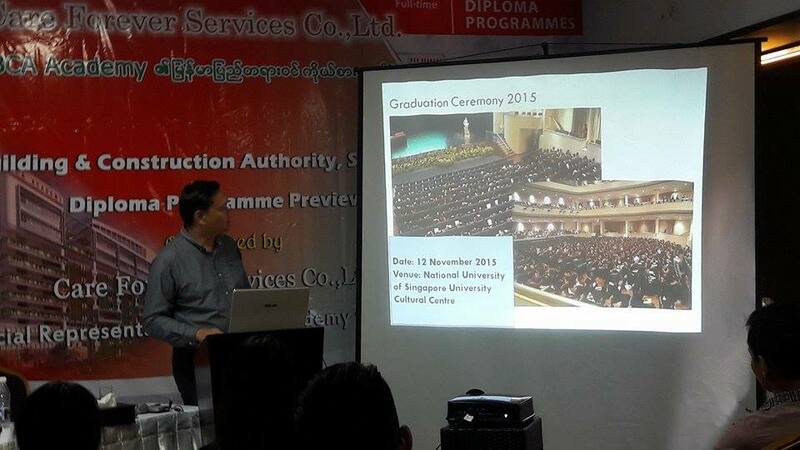 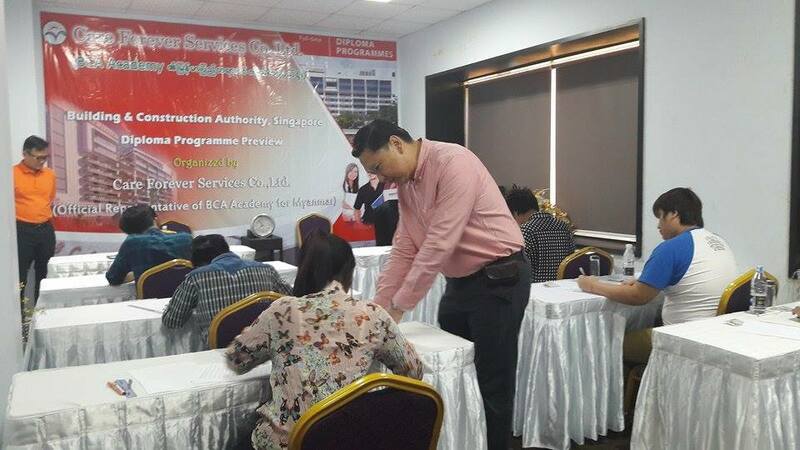 Singapore Government under the Ministry of BCA ACADEMY Education Seminar the country’s first head of the agency CARE FOREVER SERVICES CO., LTD held at Avenue 64 Hotel (Room 2) on March 26, from (1:30) P.M to (04:00) P.M . 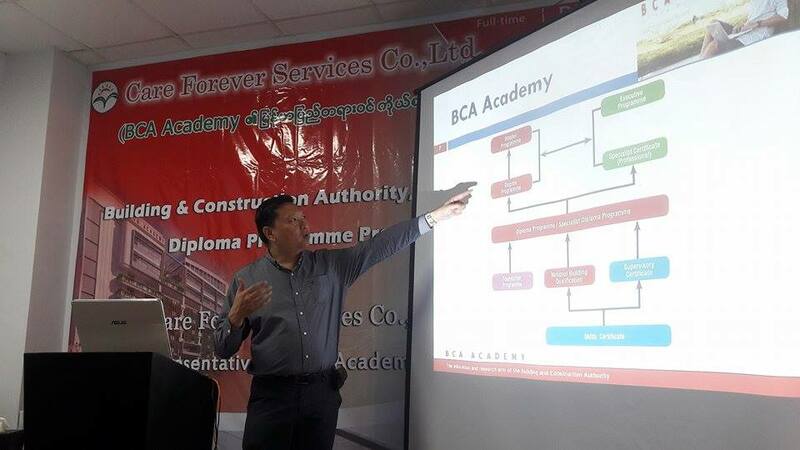 The educational workshop BCA Academy teacher / students discussed with visits from teachers / school education opportunities, scholarship available after school programs and employment opportunities were also discussed. 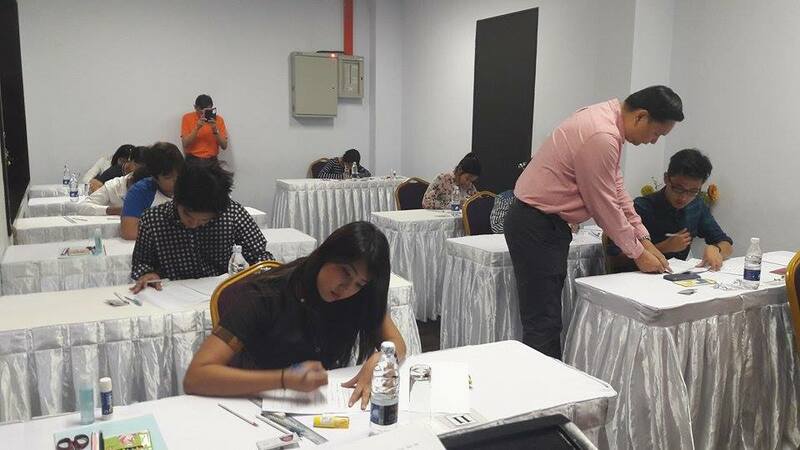 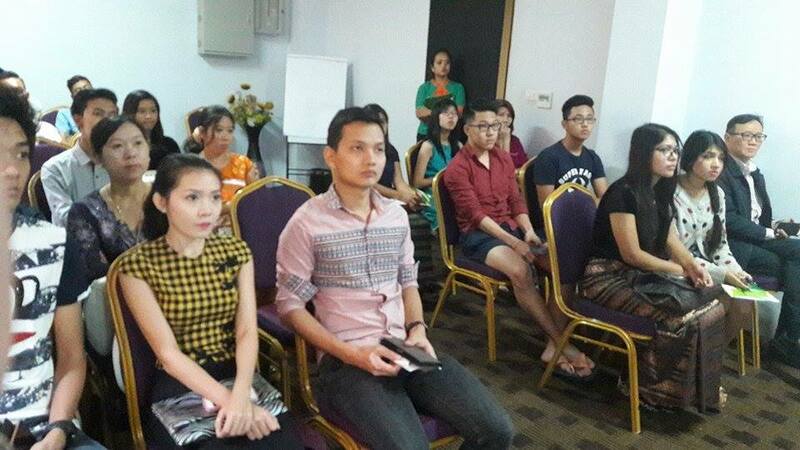 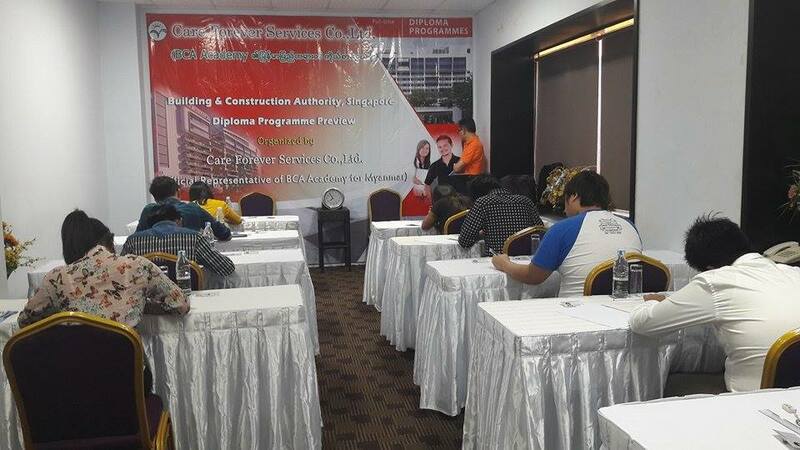 BCA Academy of the third conference in March 2016 April Intake Entrance Exams on March (27) Avenue Hotel 64 Hotel (Room 2), from (8:00) A.M to (1:00) P.M was held successfully.